Great personalities will always be remembered by the people and the society for their work. There are many political leaders who immortalized and still live in the memories of the people. 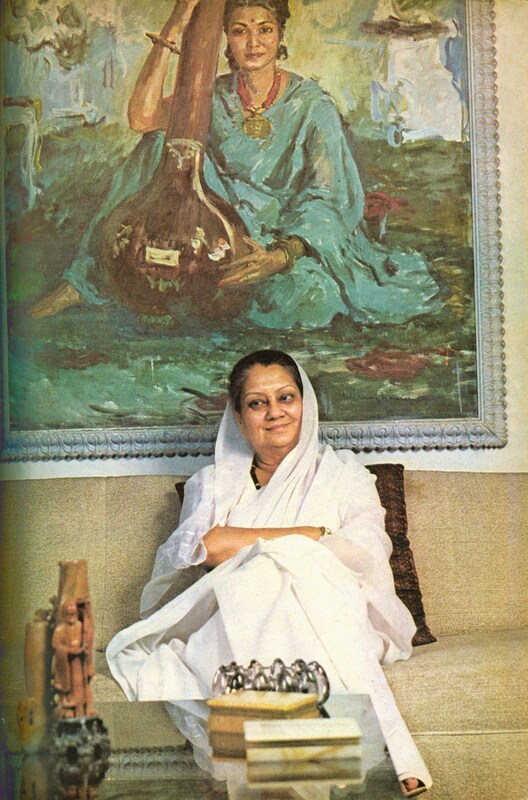 One of such great personalities is political leader late Vijaya Raje Scindia. For many decades, she was an active leader of the Jana Sangh and the Bharatiya Janata Party. She was the mother of Rajasthan CM Vasundhara Raje. Born on 12th October, it is her 100th birth anniversary this time. On the occasion of her centennial, “Nari Shakti Sammelan Vijay Sankalp 2018” is being organized on Thursday in Jaipur. CM Raje was the chief guest of the event. Know more. While addressing the event, Vasundhara Raje highly praised the workings of her mother and her ideologies. She said that Rajmata used to believe that one should never build a wall of politics between people. If there are walls of casteism then no one can be happy. There should be no division on basis of caste like Jat or Rajput or Meena. Taking everybody along with you will bring about happiness and prosperity. Further, praising her mother’s contribution to the politics, she said that Vijaya Raje Scindia devoted her life to the politics. In fact, her mother gave less time to the family and always considered party as a family and the country was supreme to her. Citing the past incidences related to her mother, she said that when former prime minister Atal Bihari Vajpayee had come to meet my ailing mother and informed her about becoming PM. Her mother was elated to hear the news and said that now the BJP party would move ahead. Apart from Raje, other leaders also shared the incidences related to Rajmata. They also asked the partyworkers to follow the footsteps of Rajmata Scindia ji. This event was organized by BJP Mahila Morcha at Birla auditorium, Jaipur. The event was attended by union HRD minister Prakash Javdekar, Madan Lal Saini, Mahila Morcha President Madhu Sharma and former president of Rajasthan Mahila Aayog Suman Sharma.